DeWalt's Heated Jackets provide hours of warmth and comfort when temperature dips. Constructed from heavy-duty materials, these jackets stand up to tough jobsite conditions and are stylish enough to wear around town. 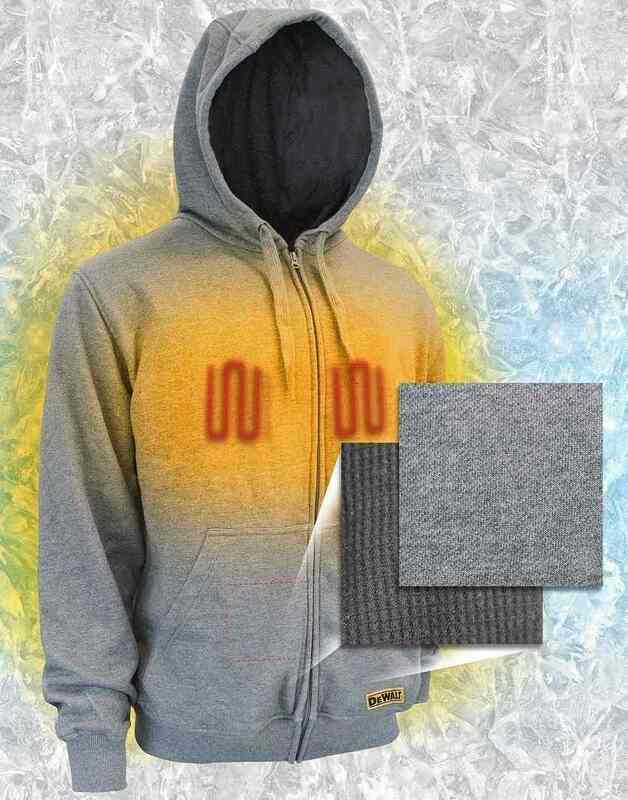 This jacket includes: DCHJ080 Heated Jacket, DCB091 USB Power Adapter. 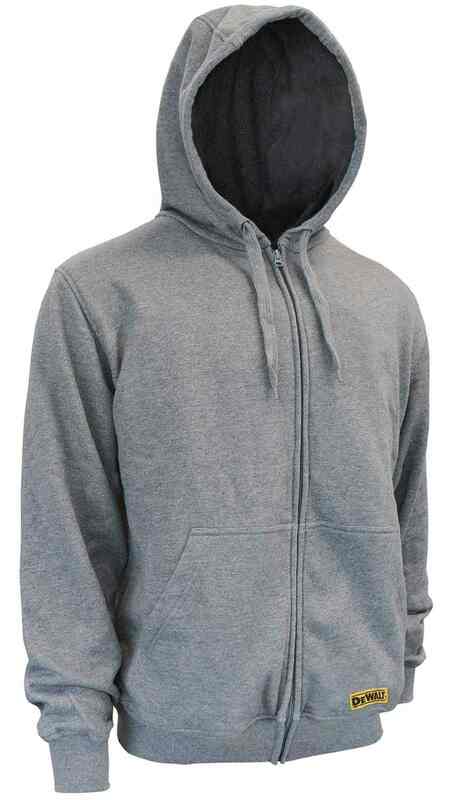 OUTER SHELL – Heathered gray fleece. INNER SHELL – Thermal Waffle Knit Lining. 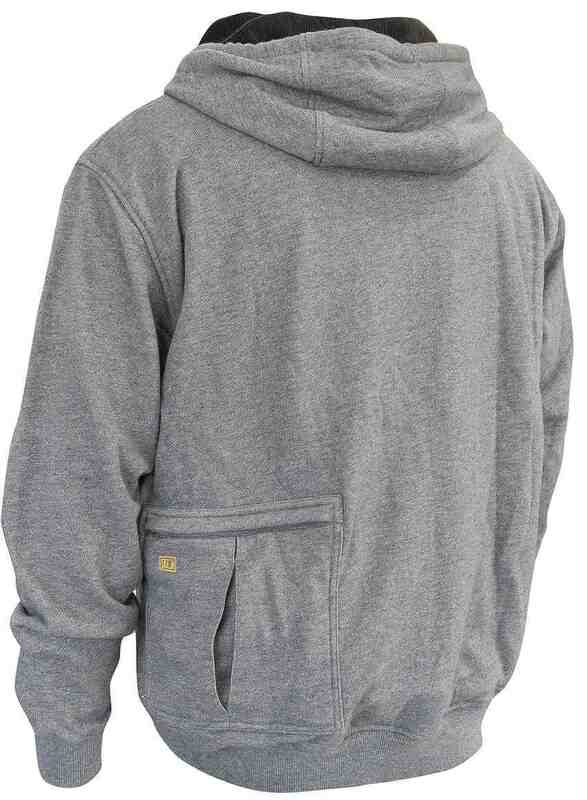 Durable wind resistant 60% cotton/40% polyester fleece outer shell with thermal lined inner shell. 3 core heating zones which include L&R chest and mid-back. 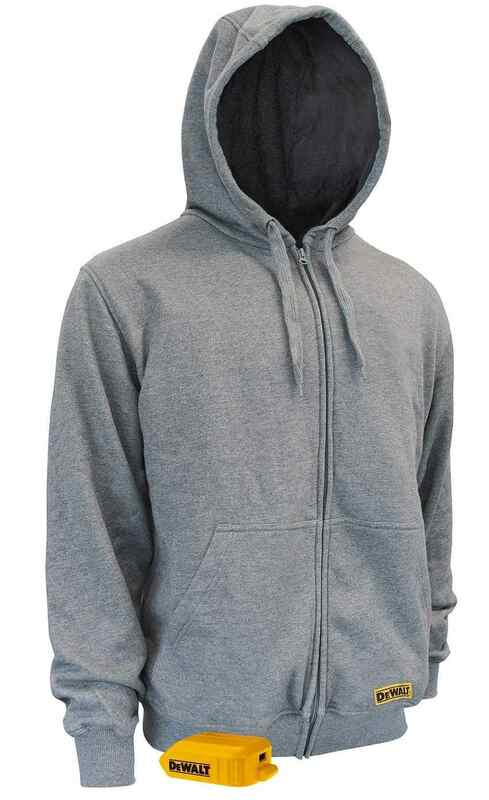 Built in hood and collar with adjustable drawstrings. USB power source with 2 USB power ports. Extension that allows you to place it in front or back pockets. 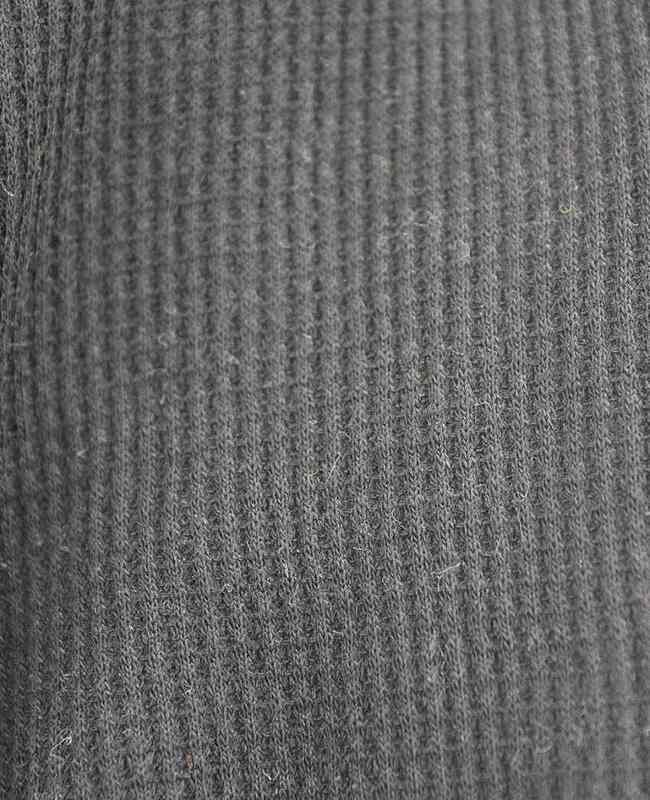 Reinforced stitching on the cuffs. 3 total pockets: L&R pouch pockets, Inside Left Chest.